The incumbent has stalled council bills considered crucial for the project, while the challenger is a close ally of the mayor who leads the charge for rail. 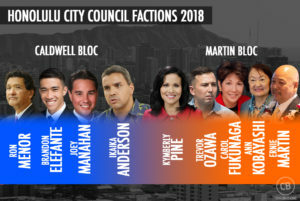 One issue that doesn’t seem to be brought up much by the candidates for Honolulu City Council District 4 is rail. 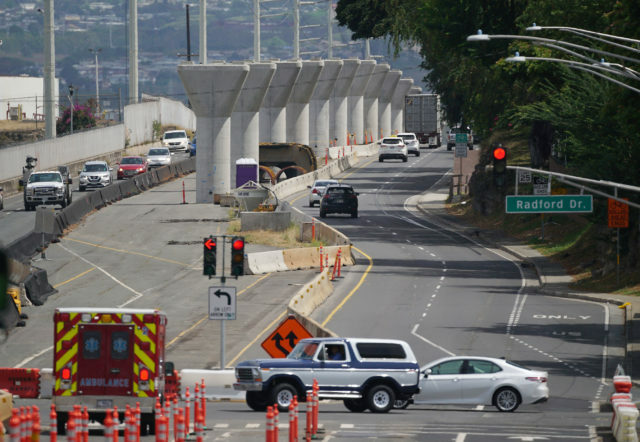 While it’s true that the route of Honolulu’s multibillion-dollar transit line doesn’t run through District 4, which stretches from Hawaii Kai to Kapahulu and includes Waikiki, the project has been the focal point of city politics for years. Incumbent Trevor Ozawa has been accused by Mayor Kirk Caldwell of blocking City Council action that is critically needed to ensure that that the project retains $1.55 billion in federal funding. Challenger Tommy Waters is a political ally of the mayor, but didn’t respond to requests for comments about Ozawa’s involvement with rail or the possible use of property tax revenue to pay for it. Ozawa assumed the second-most powerful position on the City Council as the Budget Committee chair in May. The new position placed him in the middle of a political battle over rail. The Federal Transit Administration could withhold money from the rail project, or even ask for some back. To meet ultimatums issued by the Federal Transit Administration, the council must decide whether it will allow city funds, most of which come from property tax revenue, to be used for the first time to build rail. 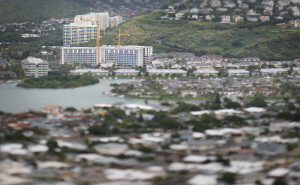 That includes $44 million in general obligation bonds to cover administrative costs for the agency building rail, the Honolulu Authority for Rapid Transportation, and another $134 million that the FTA projects the city will need to build the project beyond HART’s current $8.16 billion price tag. Caldwell refused to commit to the additional $134 million the FTA is demanding, arguing HART should find the money on its own. But the mayor has held two press conferences in the last five months publicly begging the council to pass Bill 42 to lift a ban on using city funds for rail construction and Resolution 18-132, which authorizes the city to issue the $44 million in general obligation bonds for rail. Last week Caldwell sent the FTA a letter asking for clarification on what the agency wants the city to do to meet the Nov. 20 deadline, and if the council approving the measures will suffice. Both measures had stalled in Ozawa’s Budget Committee for months until Thursday. That’s when Council Chair Ernie Martin created a new Committee on Legislative Matters with himself as chair. Martin and Caldwell are often political opponents. Martin scheduled two legislative matters committee meetings and two full council meetings this week and next to hear Bill 42. The new committee, which includes all nine council members, meets Wednesday at 1:30 p.m. Should the committee pass the measure, a full council meeting will follow to vote on passing the measure out on the second of three required hearings. With Election Day approaching, Ozawa’s critics accused him of trying to stall consideration of the measures until after the election. “They don’t want to take action on a difficult issue prior to the election, but I think that demonstrates bad faith to the FTA,” Caldwell said. Ozawa said politics played no role in his inaction on the bills. Instead, he said he was waiting for assurance that the mayor had a more detailed plan not just for the $44 million but for the additional $134 million not currently accounted for. While a lot of attention has been paid to the $44 million in bonds and HART’s plan for a public-private partnership to complete rail’s final stretch into town, city and HART officials have been quiet about addressing the FTA’s third ultimatum for another $134 million. 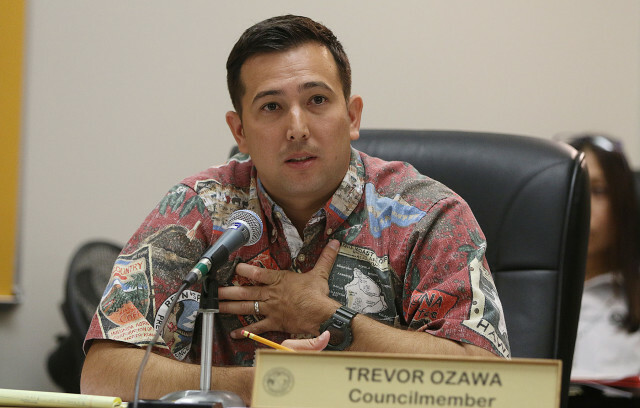 Councilman Trevor Ozawa became the Budget Committee chair in May. Ozawa also said he wanted to talk to Caldwell before putting the measures on his committee’s agenda, but said the mayor won’t answer his phone calls. “It’s kind of difficult communicating by way of press conferences,” Ozawa said. 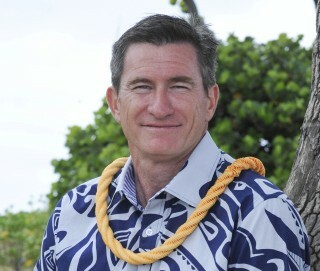 Caldwell rebutted, saying Ozawa promised FTA officials during an April meeting in Washington, D.C., that he would do his part to move Bill 42 and the resolution through the council. Now, the mayor said, the time for talk is over. Ozawa said the new Committee on Legislative Matters is a better venue for legislating the bills because all nine council members are on the committee. “We can have an open and thorough discussion and we can all be there,” he said. Ozawa isn’t the only councilman to have stalled the unpopular Bill 42. In May 2017, Councilman Joey Manahan, a Caldwell ally, led the council in tabling the measure temporarily while the Legislature crafted its bailout of the rail project. Passage of the bill is a condition of the bailout. If the council ultimately votes to allow the city to issue the bonds and passes Bill 42, the delay might end up costing taxpayers. In June, the mayor asked the council to pass Bill 42 and authorize the bond issuance before mid-August so the city could float those bonds at the same time it issued bonds for other capital projects. 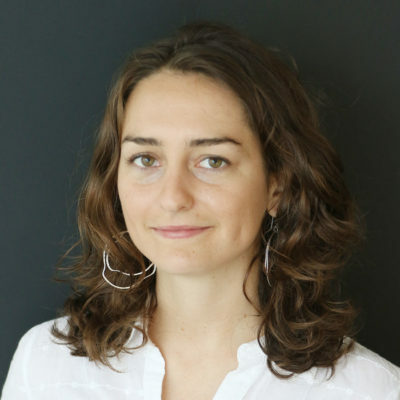 It’s too late for that now, and anther round of bond issuances – a lengthy and expensive process – could cost $300,000 to $600,000. Tommy Waters said he doesn’t want to see property taxes used for rail, but he doesn’t have a specific alternative in mind. 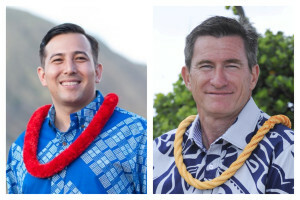 Waters lost to Ozawa by just 41 votes in 2014 in the race to represent District 4, which stretches from Hawaii Kai to Kapahulu and includes Waikiki. He did not respond to repeated requests for comments about using property taxes to fund rail. Update: Waters said Wednesday he would have scheduled the rail measures for votes earlier. He would not say how he would vote on Bill 42 or the resolution if he were already on the council, but said the council should find creative revenue sources and avoid using property taxes to build rail. It’s not clear if the nine-member council has the necessary six votes to pass the measures. It is split into two factions, with Caldwell critics holding five seats and supporters holding four. A Waters victory over Ozawa could shift the balance of power in Caldwell’s favor.